Maybe it's the Southern charm, or the historic buildings. Perhaps it's the rich history and culture, or the aqua blue beaches with warm waters of the Atlantic. Maybe it's the fact that things slow down here and like the similar effect of "island time" in Hawaii, you're on "Southern time" a relaxed pace now. Those are all great reasons to visit South Carolina, but my top reason has to be the incredibly good food that can only come from the South and more specifically - Charleston. We can all name great food cities in the US; New York, Chicago, San Francisco, LA, but Charleston? Yes! Charleston has become one of the premier cities for great food. Reason enough for foodies from all over the world to have the desire to visit. And with so many restaurants and places to explore, you're probably asking your self, Where are the best restaurants in Charleston? or What are the best hotels in Charleston? Below are some must-try recommendations for hotels and restaurants that I personally tried on my most recent trip last month. If you want to stay in the most unique, luxurious, boutique hotel, Zero George is your perfect place. It's located just few blocks away from the busyness of Downtown, all while maintaining enough distance to feel like you can escape and relax in a quiet and remarkably beautiful setting. 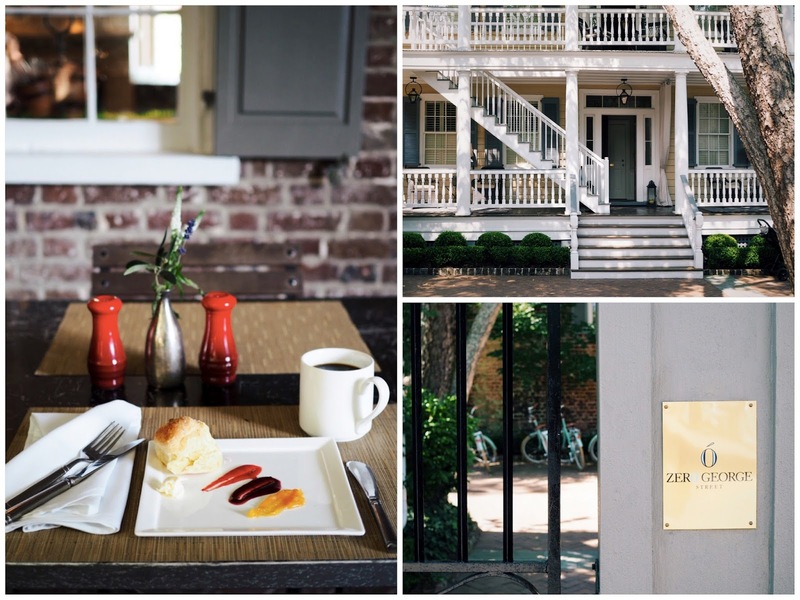 The eighteen studios and suites are located in a beautifully landscaped locale surrounded by three Charleston residences and two brick carriage houses that date near 1804. Original elements such as pine floors, high ceilings, and classic piazzas are still present throughout the property. Southern charm, sophistication, and elegance are all a great understatement when describing this place. The hotel's decor brings together this Southern sophistication with contemporary touches. Rooms are elegantly appointed with fine linens and new furniture that is reminiscent of that time period. A convenient Nespresso machine is readily available in your suite but you'll want to explore the complimentary European-style breakfast located in the bar/restaurant each morning that consists of smoked trout, deviled eggs, fresh made biscuits and house-made jams. The beautiful courtyard and large porch invite you to stay and relax while sipping a refreshing rosé during the evening wine hour. If you want to explore Charleston, the hotel offers complimentary bicycles equipped with baskets that are perfect for riding to all the restaurants and boutique shops along King Street. Also make sure to take a ride to the famous Rainbow Row - a picturesque block of historic pastel colored houses right by the waterfront. The staff and owners are available to meet all your needs. There is not one single detail that is left out in your experience. Everything from welcoming you at check-in with a glass of champagne, to being very knowledgeable about restaurants and recommendations. There is a high standard of professionalism yet it also feels like your among family and friends. There really is a sense of genuine attentiveness and you can tell everyone you meet is vested in giving you the best experience possible. I can absolutely see why Zero George was named one of the top 5 foodie hotels in the world by Condé Nast. 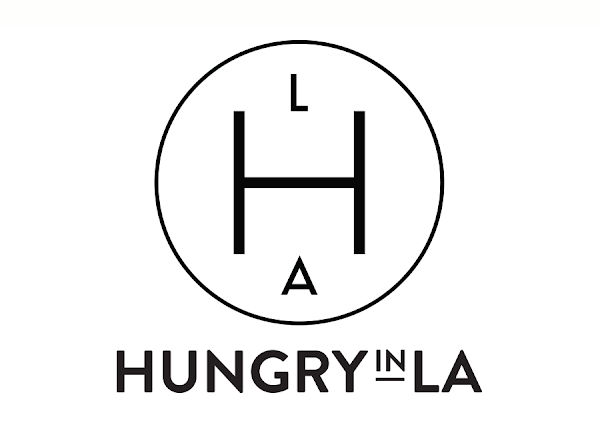 The property offers intimate cooking classes, hosts a wonderful evening wine hour, has one of the better cocktail programs in the area, and the very talented chef that helms the kitchen has received much acclaim for his market-driven dinners. Zero George is a foodie traveler's dream come true. You're a socialite and you love to be in the middle of all the action. If you were visiting LA, you would stay on the Sunset Strip. If it's Chicago, then you want to be right on Miracle Mile. I get it, and that's why if you're in Charleston and wanted a chic hotel with all the shops, restaurants, and lounges of the French Quarter right outside your door, The Spectator Hotel has got you covered. From the moment you arrive and have the door opened to you by Mr. Paul, a gentleman donning a three-piece suit and a bowler hat, you are immediately transported to the golden age of the roaring twenties. The hotel looks immaculate and makes you feel as though you're in a scene from the Great Gatsby. Think of a newer hotel with all of today's comforts and modern amenities like bath towel warmers and Nespresso machines, but has a Southern charm and 1920's vintage ambience. Even your room key looks like an old key but the leather strap is quipped with an electronic FOB to grant you access to the elevator and your suite. The hotel has high standards to meet all the expectations of their guests. The personalized butler service is unlike anything you can experience in Charleston. And every morning there is a complimentary light breakfast brought up to your room so you can ease into your day with fresh brewed coffee and ham biscuits all while listening to speakeasy/prohibition era jazz from the hotel's playlist. There is no restaurant on the property, but you have the entire French Quarter at your disposal and countless of options within walking distance. The hotel bar that resembles a study with books residing on dark mahogany wooden shelves, serves well crafted cocktails to a sophisticated and vibrant crowd. You can't stay at Zero George and not dine at the restaurant. Even if you were staying outside of Downtown Charleston, you would need to drive in and visit Zero Restaurant + Bar. The ambience is like no other. You can dine inside the beautifully refurbished Charleston-style home, but you'll want to sit outside and enjoy the warm Summer night dining al fresco. Intimate tables are spread out through the open courtyard where soft candlelight glow illuminates the dining area. The staff is attentive, friendly, and professional. You feel as though you have been invited to a supper club in an intimate space. The cocktail program must be one of Charleston's best kept secrets. Make sure your first round is a "Smoke On The Water" - bourbon, coach di torino, Lairds Applejack brandy, black walnut bitter, and a smoked ice cube - an excellent well balanced cocktail. One of you loves modern and contemporary restaurants, the other loves classic, rustic, and charming suppers. Cannon Green gives you the perfect classic-meets-cosmopolitan ambience in Downtown Charleston. The modern take on classic Mediterranean cuisine is the star here and only the freshest available local ingredients are used by Chef Amalia Scatena. The emphasis of farm/ocean-to-table cooking shines through in the flavorful dishes. A must try is Chef's raviolo - picture a large ravioli with duck egg, spinach, ricotta cheese, brown butter, and garlic chips. Expect Southern style comfort food with an elevated essence here. That means the fried chicken plate, is quite possibly the best fried chicken you'll ever have. The burger, made with a bacon/beef blend, has been on several "best of" lists. Also, staying true to its Southern roots is an extensive whiskey/bourbon list that includes a lot of rare bottles. If you're going to have breakfast/brunch in Charleston, make it Hominy Grill. The quaint little space located in a residential neighborhood has expanded, but even with the extra seats, there's still a long wait on weekends for this Charleston staple. Your go-to's will be the housemade banana bread, shrimp & grits, and a sandwich called the Charleston Nasty that consists of two buttermilk biscuits, fried chicken, cheddar, and lots of sausage gravy. A food coma is inevitable. Wise-Buck Smoked Meats is a new joint serving...well, smoked meats of course. The place is super casual with picnic tables on the patio and several canned and bottled brews. The menu is simple and straightforward, pick from your choice of meats a la cart and add some side dishes like charred zucchini, smoked corn on the cob, or the light yet flavorful potato salad. If you're craving a sandwich, you can't go wrong with the Carolina-style pulled pork with broccoli rabe. An extensive craft beer list and a sandwich that has its own fan club? We're in! Tattooed Moose has two locations and visiting the original dive bar in Downtown is a must. Mike's Famous Duck Club is a legend and deserves to be in a league of its own. The famous and addicting triple decker is a combination of duck confit, applewood smoked bacon, hickory smoked cheddar, lettuce, tomato, red onion, and delicious globs of garlic aioli, all on grilled sweet Hawaiian bread. While you're at it, grab a side of duck fat fries, they are perfectly crisp and seasoned and the only fitting side to an outstanding sandwich like this.